SEIL LIEN has been telling me about the single, I Am Fire, and her fantastic new E.P., A Little While More. She talks to me about getting into music and the sort of influences, musical and parental, that helped guide her career – I ask which songs from the E.P. SEIL LIEN responds to hardest. The songwriter discusses touring and explains the importance of being up on the stage; a new artist we should follow and watch closely; whether there is much time to relax away from music – she ends the interview by selecting a rather good song. Hi, SEIL LIEN. How are you? How has your week been? Hwat! This weather! Just back from Glasgow, caught Mr Matt White (our bass/guitar player) playing with The Temperance Movement at Trnsmt Festival; I then hung back to see the folks and get things organised for our Scottish dates at the end of the month. 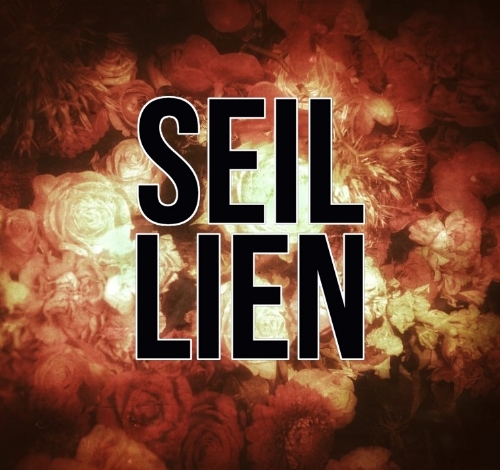 I’m SEIL LIEN (pronounced Seal lee-in). It's my Chinese name: my mother's Scottish and my dad’s Chinese. It means ‘little lotus’. It started as a little underground arts band creating live ambient landscapes, improvising and collaborating with different types of artists. It eventually mutated into a more structured band format but I have tried to stay true to its roots, placing a lot of importance on creating atmosphere. I am interested in I Am Fire. How did that song come together and what does it mean to you? I had written the main guitar riff and had penned a couple of variations of the song. When I took it to the producer (and artist in the same name) Rico he got it; he could feel what I wanted to put across. We did a fifteen-hour session. It was a cold, dark Christmas night and we ripped it apart and put it back together again. It’s not a blow-by-blow true story but certainly relatable. It’s kind of about admitting that you're sabotaging a relationship - it’s not my story but it’s a narrative I've certainly danced with on more than one occasion. Can you tell me about the cover art for the single and how that was put together? An old school acquaintance was making incredible artwork and he is being hailed as one of Scotland's most exciting contemporary artists. In his current work and the piece he did for I Am Fire, he manipulates and sets fire to gunpowder. It's really special! The E.P., A Little While More, is out. Do you think there are particular themes and stories that go into the songs? I wanted the songs to create a mood rather than just the words painting a picture. It's important to me that music is emotionally tangible. I worked really hard on that and really hope it comes across. Is there a song from the E.P. that stands as a favourite? Which tracks means the most? Hmmm; not really. Although, if you had a gun to my head: I Am Fire is my favourite to play; Chase the Devil is my favourite to sing and A Little While More is my favourite to hear back. Do you recall when music came into your life? Was there a moment or artist that lit that fuse? My dad plays classical Spanish guitar. I have memories of sitting by his feet watching him play things like Suite Española No. 5 Asturias. This passion for Spanish and Latin American guitar was passed down from his father. I’ve inherited the most phenomenal record collection and I’m very much influenced by it. The moment that lit the fuse for this particular project I can actually pinpoint. It was seeing a music and dance collaboration between Nitin Sawhney and Akram Khan. I was so blown away, I came out of the theatre and said: “I want to do that”. That’s when I started working with dancers and started creating 'atmospheric' music. It was the beginning of SEIL LIEN. I’m playing at the Hope and Anchor in Islington on 18th July and I’m very privileged to be opening for Sylvain Sylvain from the New York Dolls at his book launch in Glasgow and Edinburgh on 26th and 27th July respectively. Is the stage the place you feel the strongest and most free? How important is it being up there and performing to the crowd? Ha, well. I was always a reluctant performer: I’m naturally shy but the need is greater; it’s the strangest thing and I’m sure that’s a common story in the history of performers. I dropped out of art school so had to find another artform to express myself…. I didn’t really think about the consequences until the love for songwriting was greater than my fear of the stage. It's a pretty special way to connect with people, which is ultimately why you do it...so, very important! I want the album to come out and for the people who get it to have the opportunity to get it and then we can all hook up and have a…party? Getting the funding from Creative Scotland to make the record. I felt free! Nick Cave - and vodka martinis. Find your voice, get a mentor and carve your own path. Well; it’s probably not new but it was new to me. I was painting in my studio the other day, the sun was streaming through the window and it came on BBC Radio 6 Music: La Luz - California Finally. It was perfect: I wanted it to last for at least ten minutes. Well. The sun's still shining and I'm off to the studio so, hey, La Luz - California Finally!